Looking for all the best Monster Trucks movie trivia you can handle? We have your fun facts right here! 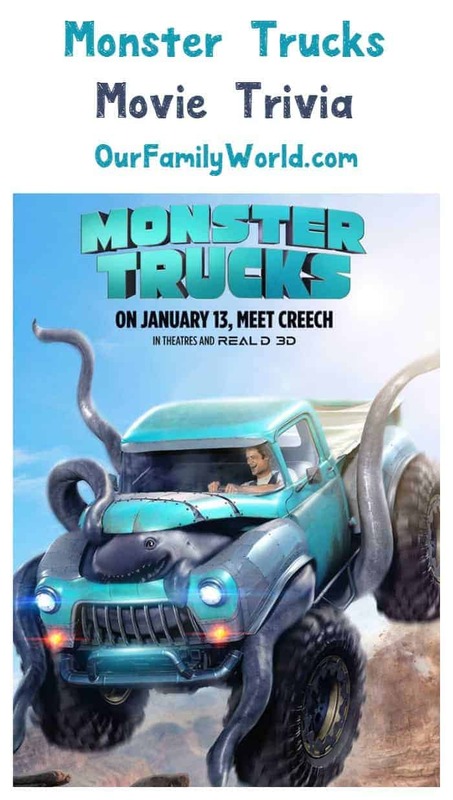 Monster Trucks is a live-action/computer animated comedy action movie that is due to hit theaters on January 13, 2017. The movie stars Lucas Till as Tripp and Jane Levy as Meredith. Here are some interesting facts about the movie and cast of Monster Trucks. First, check out the trailer for this new family movie! The theater release date changed several times before cementing the current release date of January 13, 2017. The first release date was scheduled for May 29, 2015. Then, on January 26, 2015, the release date was moved to December 25, 2015. On May 5, 2015, the release date was changed once again to March 18, 2016. Lastly, the current release date was set on November 10, 2015. Chris Wedge is the film’s director. This is his first live-action movie that he has directed. Previously, he has directed the 2002 movie Ice Age, the 2005 movie Robots and the 2013 movie Epic. Filming for Monster Trucks began in April of 2014 and wrapped up in July of 2014. The filming for the movie took place in Vancouver, Canada. However, if you look at the license plates in the movie trailer, you will notice the plates are from North Dakota, obviously where the movie is set. This is the last movie of Jon Polito, who plays the role of Thelonious. Sadly, Polito died on September 1, 2016, at the age of 65 from multiple myeloma . He is most famous for his role as Detective Steve Crosetti in seasons 1 and 2 on the television series Homicide: Life on the Street. 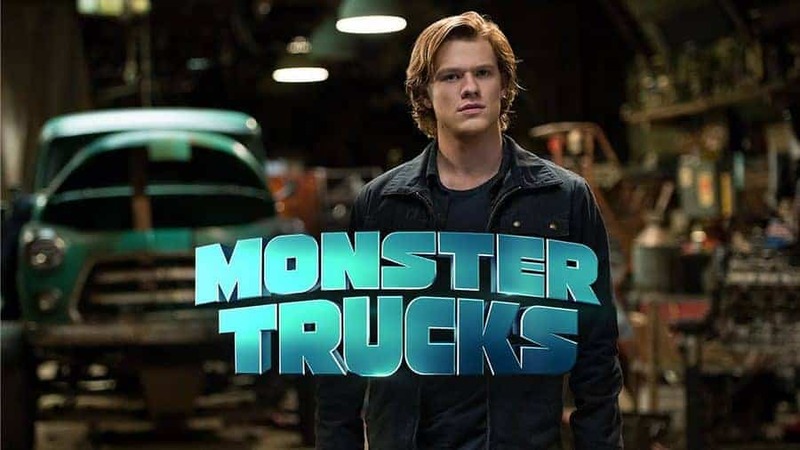 Lucas Till plays the starring role in Monster Trucks as Tripp. Till also currently plays the lead role in the television series MacGyver as Angus MacGyver. He is also known for his role as Jack Cash in the 2005 Walk the Line, the role of Travis Brody in the 2009 Hannah Montana: The Movie and as Alex Summers/Havok in the X-Men movies: the 2011 X-Men: First Class, the 2014 X-Men: Days of Future Past and the 2016 X-Men: Apocalypse. Jane Levy also has a starring role in Monster Trucks as the role of Meredith. Levy is best known for her role as Tessa Altman in the television series Suburgatory from 2011 to 2014. She also appeared in the 2013 movie Evil Dead in the role of Mia Allen. Monster Trucks is produced by Paramount Animation and distributed by Paramount Pictures Corporation. Paramount Animation is the animated movie division of Paramount Pictures Corporation. Their first animated movie was the 2015 The SpongeBob Movie: Sponge Out of Water. Paramount Pictures Corporation is the 2nd oldest film studio in the United States that is still in production. Which of these Monster Trucks movie trivia facts surprised you the most? Have you heard any other bits of trivia about the family movie? Share in the comments! DIY Easter Decor Ideas That Will Give You the Warm & Fuzzies! Meet Edwin the Duck: The Smartest Rubber Ducky on the Planet! I just saw the preview for this movie. It is going to be a hit with both of my sons. I can’t wait to take them to see it as a treat. I wonder why they kept pushing the date back. I’m not sure if I’ll be seeing this movie with my friends. I normally go with ones who don’t have children so it may not be up on our list. Sounds like a fun movie! I’m sure my boys will want to see it! Ice Age and Robots are some of their favorite movies! My friends kids are so excited to see this movie. We are going to surprise them and take them when it comes out. My nephews are going to be so excited about this one! Trucks just always resonate with them, and this looks great. I can think of so many little guys who would like this movie! Will have to pass on this trivia to my friends with kids. Create A $255 Christmas Fund In Just 15 Weeks With FREE Printable Savings Schedule!